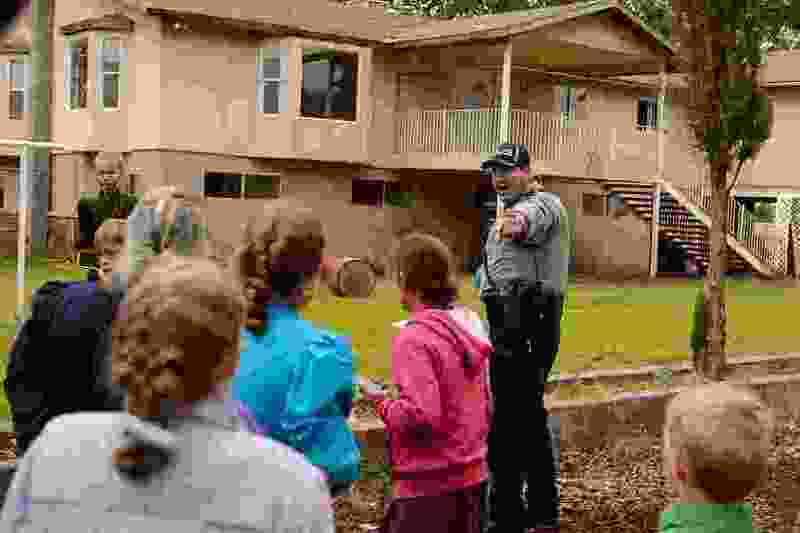 (Trent Nelson | The Salt Lake Tribune) Colorado City Town Marshal Sam Johnson orders young FLDS children to leave the property of a home being taken over by the UEP Trust in Colorado City, Ariz., Wednesday May 10, 2017. On the morning of July 13, Harvey Dockstader Jr. arrived at his grocery and health store in Colorado City, Ariz., to find a window broken and his cash register busted open. Dockstader did not want to report the crime to the town marshals — the police force that patrols Colorado City and adjacent Hildale, Utah. But he needed police, so he called and made a report. A marshal — one who had been there when Dockstader was arrested three years earlier — arrived and looked for evidence pointing to the burglar’s identity. So far, the marshals haven’t solved the case. Hildale and Colorado City, collectively known as Short Creek, have been the traditional home to the polygamous Fundamentalist Church of Jesus Christ of Latter-Day Saints. 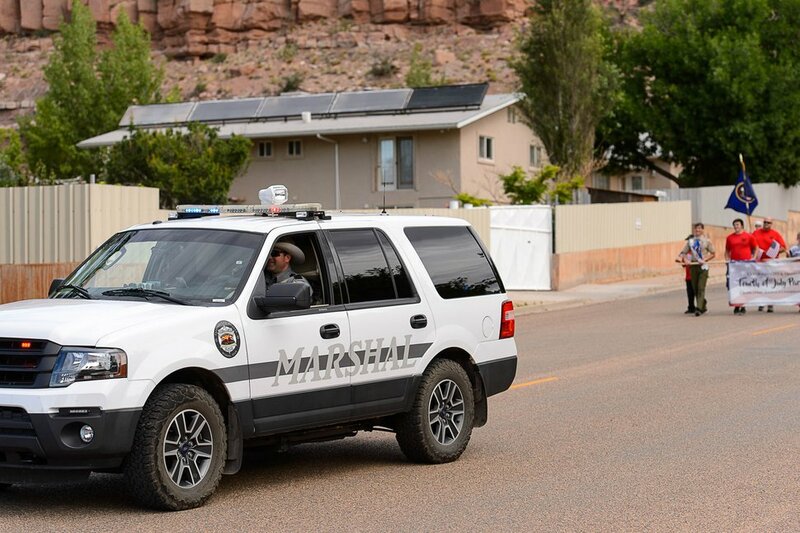 What residents there are calling a spree or rash of burglaries and thefts began this summer as the community has been transitioning to a less polygamous population. Trent Nelson | The Salt Lake Tribune A Colorado City/Hildale Marshal at a memorial for the 13 (and 1 still missing) victims of a September 14th flash flood. The memorial was held in Maxwell Park in Hildale, Saturday September 26, 2015. 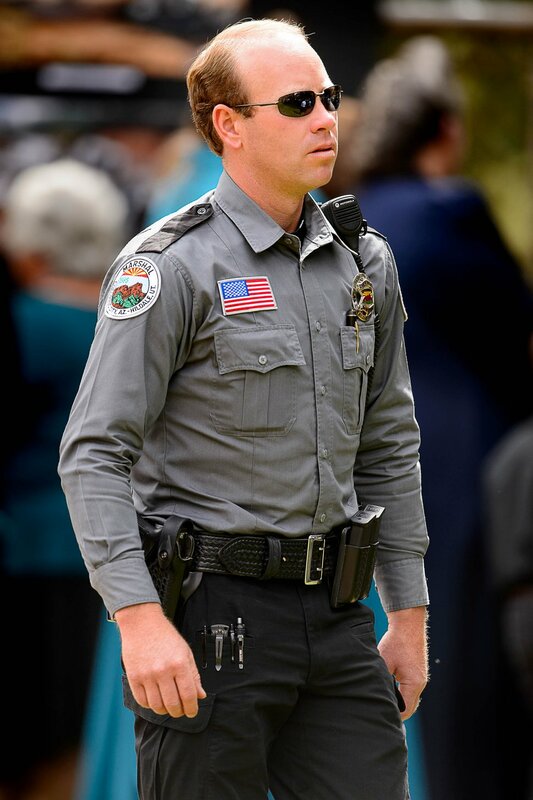 Trent Nelson | The Salt Lake Tribune Jerry Darger, Chief of Police, Colorado City/Hildale Marshals Office, in Hildale, Wednesday September 16, 2015. Hundreds of FLDS members have left Short Creek in the past two years rather than cooperate with the trust that owns many of the homes there. They have been replaced by former residents who have left the FLDS or never followed its president, Warren Jeffs. Also this summer, the two municipal governments and their joint marshals force have been implementing changes ordered by a federal judge who presided over a civil trial in Phoenix, where the towns and the marshals were found to have violated the rights of non-FLDS residents. The changes include better training for the marshals and policies to ensure equitable policing. But Dockstader and other non-FLDS residents still harbor suspicions about the marshals. Statistics on the recent property crimes have not been disclosed, and Colorado City Chief Marshal Jerry Darger did not return messages seeking comment. In interviews, residents in Short Creek describe the crimes this summer as, at least, out of the ordinary. Darger attended an Aug. 25 meeting during which residents tried to organize a neighborhood watch. “He just kind of confirmed there has been quite a few thefts that we normally don’t see,” said Jared Nicol, one of the watch organizers and a candidate for the Hildale City Council. Darger was supportive of the neighborhood watch and gave a PowerPoint presentation at the meeting, Nicol said. Residents would watch for anything suspicious and report it to a block captain, who could forward it to the marshals. Nicol complimented Darger but said some residents have been hesitant to get involved with the watch. They don’t trust the marshals, he said. Nicol, who had no ties to Short Creek before he and his family moved there from Salt Lake County in 2015, said he understands the history of the marshals, but he also wondered where that leaves the marshals who appear to want to solve and prevent crimes. There have been crime spikes in Short Creek before. Helaman Barlow, a former chief marshal in Short Creek, said Wednesday he investigated some burglary strings in the 20 years he spent on the force. Lesser crimes, like the theft of iPods, were often committed by children who were still in the FLDS but whose parents had been sent away and told to repent by church leaders. Bigger crimes, like costly burglaries, Barlow said, were committed by drug addicts looking for something to pawn. Some burglars were former FLDS members, he said, and some were not. Short Creek had a community watch years ago, Barlow said, but it was converted into the security force for the FLDS, also known as ”The God Squad.” It went from watching neighbors’ homes for burglars to monitoring a system of security cameras to alert FLDS leaders when the FBI or people dubbed apostates arrived in Short Creek. Barlow said the current marshals can’t rely on a communitywide effort to address the problem like in the old days. Barlow now works at an auto parts store in Hildale. It’s been burglarized recently, too. The burglar opened a rear window in the middle of the night then kept his or her head down so the store’s cameras didn’t get a good view of his or her face. The burglar used a pry bar to open the cash register. Some burglaries have been even more brazen. One weekend in mid-July, someone broke into Brothers Bistro, drilled into a safe and stole $1,300, said the restaurant’s manager, Larei Barlow. 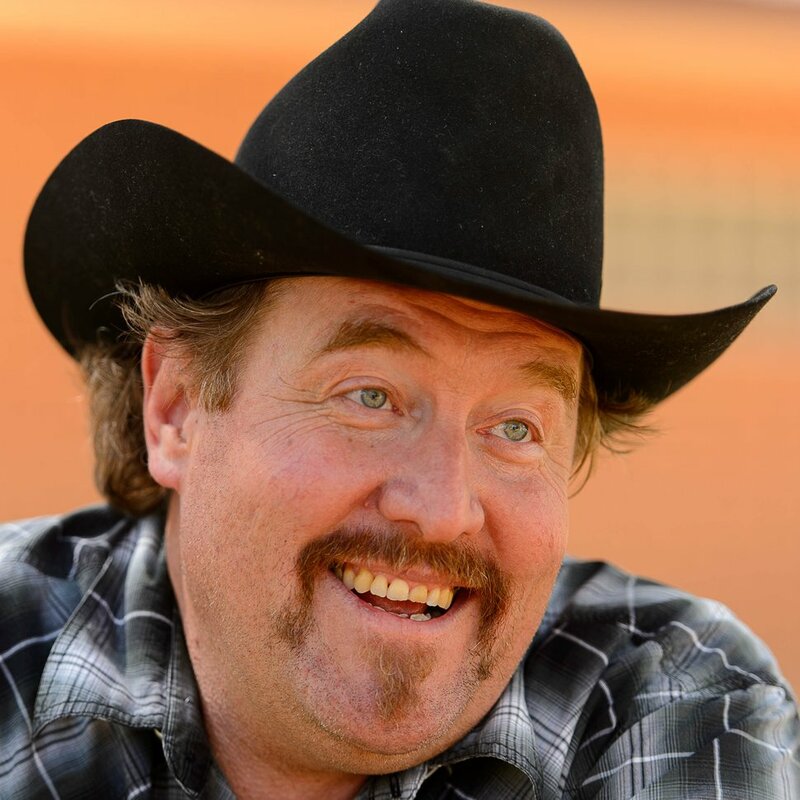 Trent Nelson | The Salt Lake Tribune Harvey Dockstader Jr. , president of the UZONA Chamber Of Commerce, which aims to improve the economy in the northern Arizona Strip communities as well as Apple Valley and Hildale, UT. Monday July 4, 2016. The stolen cash wasn’t the biggest expense from the burglary at Home Spun Health, the store Dockstader runs. The burglar busted what merchants call the point of sale device — the computer monitor and credit card system used to process customer transactions. Dockstader said that was a $1,200 system. 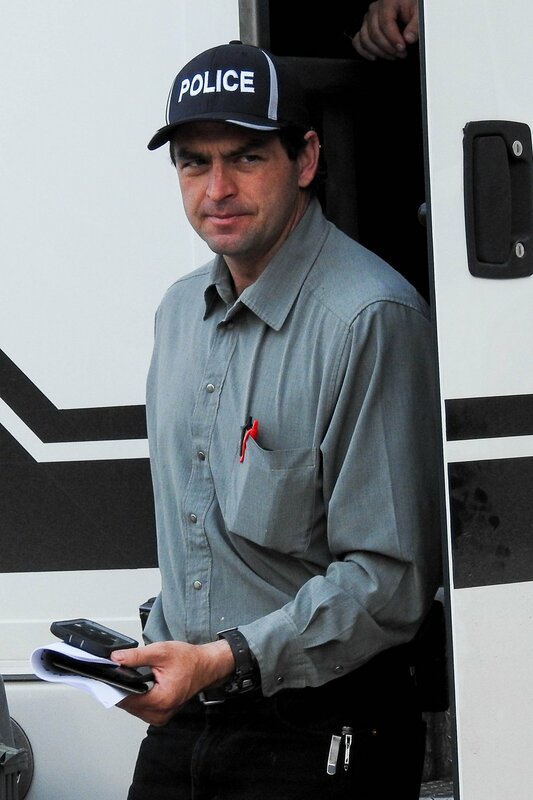 Dockstader’s family split from the polygamists in Short Creek before the FLDS were even incorporated. His reluctance to call the marshals originates from when, three years ago, they arrested him over a noise complaint. Dockstader had organized a reunion for people who had been separated among Short Creek’s various religious disagreements, and the marshals said the music was too loud. Dockstader eventually prevailed in court, but he still accuses three of them, including the marshal who arrived to take fingerprints and document footprints outside his window, of lying about what happened at the reunion. Dockstader said the marshals have not called him with any updates on his burglary case.